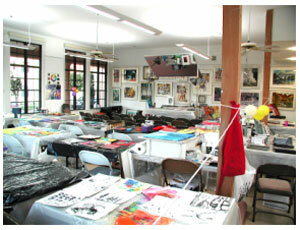 The San Diego Watercolor Society facility includes a gallery, an education center for workshops and classes, and a reference and instructional library for watermedia artists. Mission Statement To be an ongoing recognized leader in expanding the appreciation of and involvement in watermedia painting through member instruction, exhibition, community education and promotion. Purpose To promote water-based media on paper by sponsoring Member Shows, an International Exhibition, and holding workshops and painting demonstrations. To encourage students, viewers, and artists of all ages to become involved in watermedia on paper and the San Diego Watercolor Society. 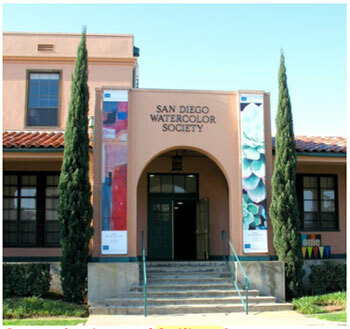 Formed in 1965, The San Diego Watercolor Society (SDWS) is a broad-based nonprofit art organization promoting the appreciation of and involvement in watermedia painting. Its charter members formed a focus on establishing an organization that would meet its goals of promoting watermedia art through the volunteerism of its members. They were forward thinking and expanded the organization from an initial 16 members to nearly 700 and from meeting in a community room in a library to a facility with 4,000 square feet and an education center that is the setting for frequent workshops given by nationally recognized watermedia artists. Today, nearly 50 years later, with its dedicated all-volunteer staff, SDWS operates a major gallery and education center located in The Arts District Liberty Station in the Point Loma area of San Diego. 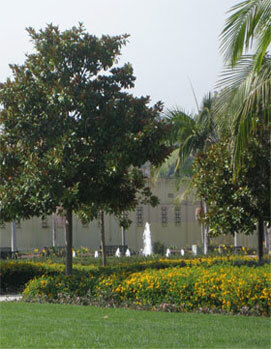 SDWS provides a wide variety of services and activities that benefit members and the public. 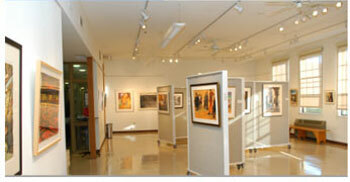 The SDWS Gallery is a showcase for the tremendous variety of watermedia at created by SDWS members. Artwork is for sale along with greeting cards and other items. Each month a new show is presented to the public. All visitors are asked to vote for their favorite painting. Each month votes are tallied and a People's Choice award is presented to a member artist for their work that inspired the winning number of votes from our visitors from all over the world. Artist: Ruth Ellen Hoag. Title: "Retrospective"
For over three decades, SDWS has been proud to host its yearly International Exhibition which attracts hundreds of entries from acclaimed artists worldwide. 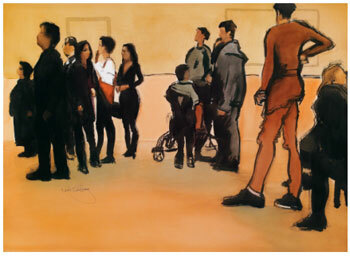 Well-known artists are invited to jury the exhibit, and accepted artists are honored to participate. This significant exhibit is one of the highlights of the year for SDWS. A gala reception for members, artists, and the public is held at the SDWS gallery in October, and hundreds of visitors view the exhibit during the month. The Library at SDWS is an essential resource that assists members in carrying out SDWS's mission. The primary emphasis of the Library is enjoyment and education of the arts. We have over 1500 print and video items available for check out! How do I check out books and videos from the library? Take the book or video to the front desk and have it signed out by the Gallery staffer. Borrowing privileges are extended to all SDWS members. Any lost or seriously damaged materials will be the responsibility of the borrower. Books may be borrowed for 3 weeks with a limit of 4 books. Videos/DVD/audiotapes may be borrowed for 3 weeks with a limit of 2 videos. SDWS welcomes gifts of books, videos and monetary donations. A receipt for donated property will be provided by SDWS librarians. It is not possible to provide appraisals for tax purposes. 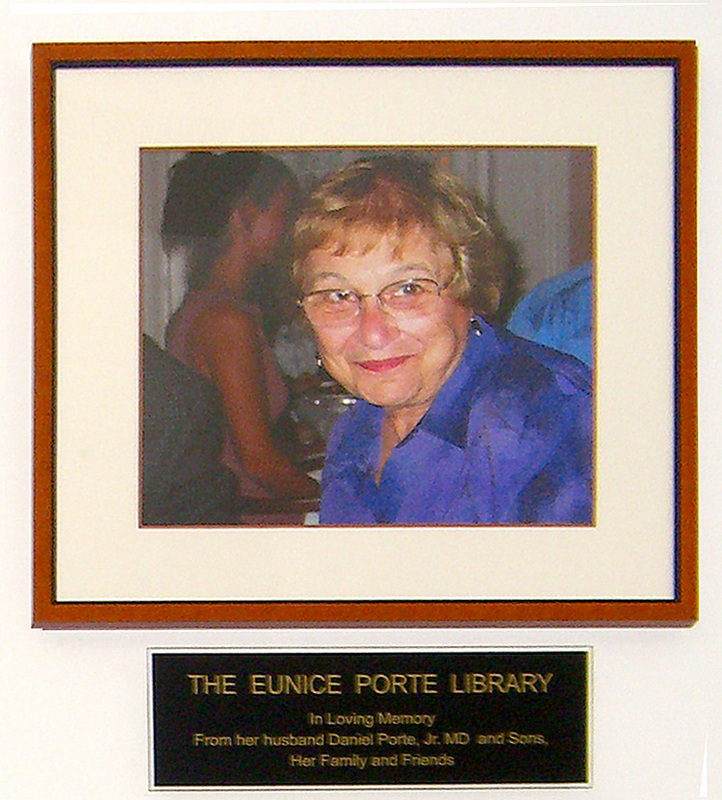 A portait of the late Eunice Porte, avid watercolorist and SDWS volunteer.